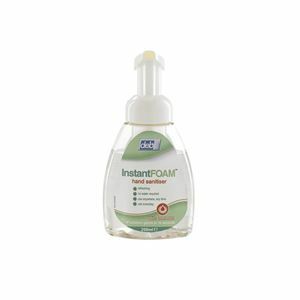 Highly effective, perfume-free, dye-free alcohol-based foam hand sanitiser with moisturiser. Kills 99.999% of many common germs in just 15 seconds. Spreads rapidly to cover the hands quickly. No water required - can be used anywhere. Built-in skin conditioners leave hands feeling soft and smooth.